Watford's appeal against the red card shown to Marvin Zeegelaar against Burnley has been rejected. Zeegelaar will sit out the Premier League fixtures against Crystal Palace, Huddersfield and Brighton after being sent off for a two-footed challenge on Steven Defour in Saturday's 1-0 defeat at Turf Moor. 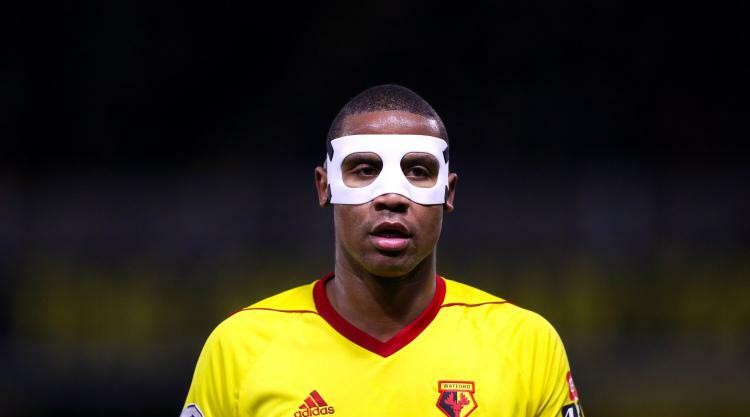 "#watfordfc will be without Marvin Zeegelaar for the next three games after the club's appeal against his red card at Burnley on Saturday proved unsuccessful," Watford tweeted. Hornets boss Marco Silva insisted after the match that referee Lee Probert had been wrong to show Zeegelaar a straight red card in the 40th minute. "There was a good competition between everybody, then after one decision the referee made a big difference in the match, a big influence, and it was a harsh decision for me," Silva said. "It's not a red, that changed everything, and after two or three minutes they scored.